Since the Tea Party entered the political scene, candidates, analysts, and observers have tried to discern where it came from, whether and how it has been politically effective, and to what degree it will remain a force. Virtually everyone agrees that the Tea Party still matters, but precisely what it is and how it can and will influence politics is far from clear. We asked four scholars for their views; while they agree that the Tea Party is, has been, and will be an important political and social force, they offer surprisingly different takes on why. First, we asked who and what comprise the Tea Party today. Is it primarily a network of local activists or a national ideological movement? Meghan Burke says the Tea Party started as a network of grassroots movements, but has been heavily influenced by national media. The movement in its early years was relatively autonomous and independent. Local groups communicated with one another and shared a larger conservative agenda, but they were not taking marching orders from outsiders. Instead, they hoped to assert influence on those very political powerhouses so that they could better represent the interests of the movement, which is not strictly Republican. Robert Horwitz suggests that, as the Tea Party has grown and gained national exposure, agendas have begun to filter down from above. that hover on the right wing of the Republican Party. Ruth Braunstein’s research indicates that, beneath the layers of media and elite influence, there remains a local core that has, at times, been frustrated with the nationalization of their movement. Increasingly, when people refer to the Tea Party, they refer to its most visible representatives—the national leaders and elected officials who speak in its name. But local Tea Party groups have not disappeared. Of the Tea Party activists I have been following since 2010, many are still active and still identify with their local group. But much has changed since their earliest days. Their founder and original leader stepped down in early 2013, citing frustration with the slow pace of change and disillusionment with the representatives they had sent to Washington and the statehouse in 2010. In part because of this frustration at the national level, the group has increasingly honed in on state and local issues. Andrew Perrin sees the Tea Party today as less a movement or set of movements than a politicized mark of conservative legitimacy. The Republican gains of 2010 and 2014, along with President Obama’s reelection in 2012, have served to move much of what gets identified as “Tea Party” into Congress. Where the term once referred to social movement-style activism and participation, “Tea Party” now serves mostly as a modifier attached to the names of certain members of Congress, identifying them as reliably and defiantly conservative. Perhaps the key takeaway is that the Tea Party is not a monolithic movement, but a contested political label that can be applied to local activist networks and national political figures alike. 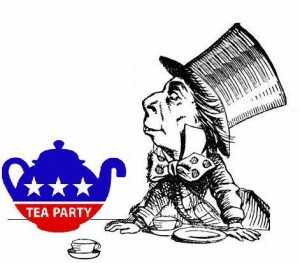 Given the complexity of the contributors’ views on what makes the Tea Party today, we asked next about parallels and distinctions between today’s Tea Party and conservative movements from earlier in American history. Our experts find more agreement here, noting that the Tea Party embodies a familiar style of contentious politics, but they also take the opportunity to point out that what counts as “conservative” is itself an important question. the latest eruption of what historian Richard Hofstadter calls the “paranoid style” of American politics. After World War II, American conservatism broke into two factions. A majority reluctantly came to terms with the New Deal, but a smaller faction called for its rollback and demanded a more severe response to communism. Hofstadter theorized that this rage stemmed from the “status anxiety” of the white Protestants who saw themselves becoming displaced by new groups and new social mores. A similar kind of rage can be found among today’s Tea Party. Fear of “Islamo-fascism” now substitutes for the old fear of communism. The demographic profile of Tea Partiers is similar to those Hofstadter examined: older, whiter, better off economically, better educated, Protestant (particularly Evangelical), and small business owners. a coalition that emerged in the wake of the Civil Rights Movement’s legislative successes. These coalitions have since become nearly ubiquitous ways of organizing political identification, and they tend to accept the “rules of the game”—to take for granted the distinction between “liberal” and “conservative” viewpoints—rather than challenging those rules. Data show that the Tea Party coalition is much the same as the coalition that makes up the Republican Party, so given that the Tea Party has mostly ebbed as a social movement and become a legislative caucus, the real question is whether it will change any of those coalition dynamics. My guess is that it won’t. Noting a distinctly religious dimension to the Tea Party group she worked with, Braunstein argues that the movement harkens to a set of moral values that Tea Party members feel are under threat. But this doesn’t mean that the Tea Party is simply the political arm of the religious right. It’s common to associate the Tea Party with the Christian Right, but the group I studied tells a more complex story. My research included members with diverse religious identities and practices. Some identified as conservative Christians, but others’ relationships to faith and organized religion varied from indifference to individual spirituality to atheism. The group leader and others explicitly distanced the Tea Party from the Christian Right and from faith-based groups that organize around single issues like abortion. They insisted that the Tea Party sought to bring conservatives back together around broader unifying themes, especially strict adherence to the Constitution and a restored commitment to Judeo-Christian values. Even atheists among them expressed their belief that a citizenry untethered from religious values would run roughshod over the Constitution; that there could be no democracy without religion. Our experts all note a reactionary component to Tea Party politics—is this a sign that what’s really driving the Tea Party is anger? the complex emotional culture of the movement. For the most part, when members of the group I studied gathered, their interactions were marked by expressions of pride in their decision to stand up and try to make a difference, and love for their country, their children, and this newfound community. At the same time, they also expressed frustration, disappointment and resentment: as when the media portrayed their work in a negative light; when their neighbors did not join their efforts; and when their political opponents dismissed them as racists or demagogues. Over time, while the group’s mutual affection, pleasure and pride appeared to reinforce their solidarity, their frustration, resentment, and anger replenished their sense of moral indignation and confidence that their efforts were necessary. Horwitz cautions that “anger” doesn’t capture the full range of what Tea Party members are motivated by. Anger and perceived victimization are prominent features of the Tea Party movement, but movement intellectuals also articulate a coherent political philosophy based on traditional conservative and libertarian ideas. The Tea Party also evokes perceived victimhood. Members see themselves as the virtuous—the deserving, hard-working, tax-paying, regulated-to-death people who actually create economic value. Many see themselves squeezed between the irresponsible freeloaders from below and subject to the government-backed whims and cultural snobbery of the liberal educated elite above.” This perceived victimhood is partly rooted in anger, to be sure, but it is also heavily conditioned by a deeper political philosophy as well as a real sense of economic and cultural distress. Burke suggests the Tea Party is a particular kind of logical, if misinformed, reaction to economic struggles and cultural conflict. Anger implies a hotheaded irrationality that mischaracterizes the movement. The Tea Party absolutely relies on some deeply misinformed beliefs about things like welfare, immigration, and Islam, but it’s important to recognize that despite the filtered nature of many Tea Party members’ worldviews, their lens on the world makes sense to them. They are watching their kids struggling to find jobs and to pay their bills, and they see people who should be enjoying retirement working at Wal-Mart to make ends meet. It’s wrong that they believe racist myths about how welfare works, but it’s not wrong that they’re angry at the economy and their communities that are crumbling around them. Perrin adds that Tea Partiers are motivated by their political and social identities as much as by economic and cultural threat. Our experts’ perspectives highlight local and national dimensions of Tea Party politics; the roles of reactionary anger, emotions, and political philosophy; and action at the grassroots and through elite channels. 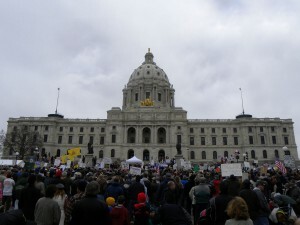 What imprints will the Tea Party leave on our politics and culture? Horwitz and Perrin emphasize a lasting impact on politics and gridlock in Washington, while Burke observes a surprising empowerment of women in Tea Party culture and Braunstein notes developments in the construction and contestation of in the public sphere. At the very least, the Tea Party has helped move the Republican Party, and political conversation in general, to the right. Tea Party populism managed to put a distinctly right-wing spin on the anxieties fostered by the Great Recession. The Tea Party movement both reflects and reinforces a kind of conservatism and a corresponding Republican political style that has become deeply dogmatic and absolutist. It’s going to be tough to distinguish between the specific influence of the Tea Party and the more general no-holds-barred style of contemporary Washington. The existence of the Tea Party as a social movement may have helped foster that style, and the Tea Party caucus in Congress is distinguished in part by it as well. But that style was established before the 2008 election, before the Tea Party emerged, and it has other causes. One effect that might surprise people is the empowerment of women. I quickly realized that lots of women were finding voices in their Tea Party communities, many of them for the first time in their lives. I quickly began to think of the Tea Party as a women’s movement. It is largely women doing the social movement work. This empowerment cannot be ignored, but almost no one focuses on it. Some of the women even expressed ideas that could be labeled feminist—talking critically about the “old boys’ clubs” in their communities, for example. Another, I think, is that we are really learning how much cable news, which functions primarily as entertainment for profit, impacts our political system and weakens our democracy. Cable news keeps us so deeply misinformed, and locked inside our political echo chambers, that we cannot often see our common frustrations or work to meaningfully understand the world around us. Ruth Braunstein is in the department of sociology at the University of Connecticut. Her research explores how religion influences public participation in politics. She is drafting a book based on a comparative study of faith-based community organizing and Tea Party. Meghan A. Burke is in the department of sociology at Illinois Wesleyan University. The author of Racial Ambivalence in Diverse Communities: Whiteness and the Power of Color-Blind Ideologies, she studies the dynamics of race, class, and gender in social movements. She’s recently published a book about these dimensions in the Tea Party. Robert Horwitz is in the department of communication at the University of California, San Diego. 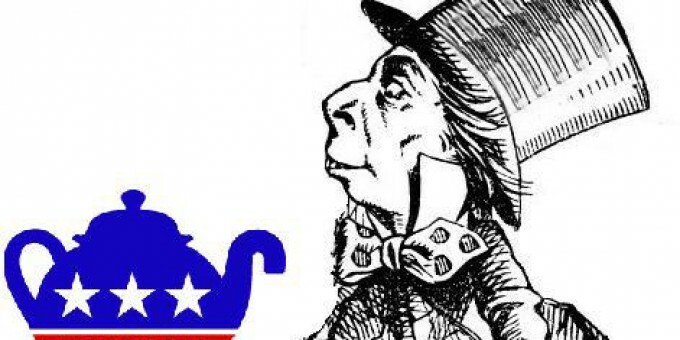 He has recently completed a book examining the rise of the particular form of American conservatism that has captured the Republican Party and seized the political agenda in the form of the Tea Party movement. Andrew Perrin is in the sociology department at the University of North Carolina. He studies democratic citizenship in the United States, focusing on the cultural and social underpinnings of democracy: What do people need to know, be, and do to make democracy work? Meghan A. Burke is in the department of sociology at Illinois Wesleyan University. The author of Racial Ambivalence in Diverse Communities: Whiteness and the Power of Color-Blind Ideologies, she studies the dynamics of race, class, and gender in social movements. She's recently published a book about these dimensions in the Tea Party.